The Internet seems to have become an inseparable part of our lives, which has revolutionized the world and touched every one of us. A few names simply stand out from the rest when it comes to picking the Kings of Internet. These are the people who have changed the way I think and perceive things, and interact with others. I have picked some of the leading names in the world of Internet who have transformed Internet into a huge marketplace, making a difference to our lives. Internet marketer and entrepreneur, Andre’ Chaperon is a king in the world of affiliate marketing. Andre’ is highly skilled in using emails to promote his client’s products and services as an affiliate. Beginning his career in October 2003, Andre’ invented his revolutionary email marketing system that has simply changed the way Internet marketing is done. His Autoresponder Madness is touted to be the best email marketing course ever, while his 28-week Tiny Little Businesses course has the key to starting a successful business. Here’s a gentleman who makes $3k from one of his 150 sites built in the last 5 years. A mechanical engineer by profession, Jon Haver is a highly successful web publisher, who has carved a niche for himself in the field of the Internet. The dream to achieve financial freedom keeps Jon on tenterhooks to stay on top with the developments in the Internet industry and provide valuable content for readers. Jon envisions making a monthly income of $15k by his 35th birthday, and he seems well on his way. Another inspiring name in the field of Internet is Jon Loomer, who trains advanced Facebook marketers to maximize profits through the use of Facebook marketing. Jon has mastered the science of Facebook metrics that help you measure results of your Facebook marketing campaign. Through his deep knowledge of everything Facebook, he is the best person to approach when it comes to determining a successful Facebook strategy for your business that will enable you to optimize your Facebook marketing efforts. A Google Plus marketing expert, Martin Shervington is both a consultant and executive coach, who has been “empowering” others as an author and marketing consultant, personality development trainer, and executive coach for the past 15 years. A fantastic resource to boost your Google Plus knowledge, Martin is widely popular for his two communities on Google+ – Plus Your Life! and Plus Your Business! Martin has authored numerous books, including Developmental Coaching: A Personal Development Programme for Executives, Professionals and Coaches . Social media expert Mark Traphagen has established himself as an authority in Google Plus marketing. Mark helps his clients build social media marketing strategies to increase brand awareness and attract natural links and social signals. Mark has earned a great reputation as an expert on Google Authorship. He is a name to be reckoned with in the field of influencer marketing. A sought-after speaker for major online marketing conferences, he regularly writes for the Stone Temple Consulting Blog, along with several leading online publications. A content marketing speaker and inbound marketing expert, Marcus Sheridan is the owner of The Sales Lion and a partner at River Pools and Spa. As a motivational speaker for businesses, Marcus is committed to spreading the secret about inbound marketing and helping businesses build their brand, raise brand awareness, and reach their potential. Known for his zeal and enthusiasm, he is a popular social media speaker, thought leader, and expert. He has authored Inbound and Content Marketing Made Easy eBook, which is available for free on the Internet. Internet marketing expert Frank Kern is a successful Internet marketer who has all the tricks of the trade to help clients dominate their market online. Regarded as the top Internet marketing guru, Frank derives a huge chunk of his monthly income from his Internet marketing consultancy services, helping others create an actionable plan to increase sales and profits in the long run. As someone who started making thousands of dollars at the age of 17, Glen Allsopp is a successful Social Media Manager for fortune 500 companies and a highly reputed affiliate marketer. He is widely popular for his guide to becoming a digital nomad – with tricks and resources for beginner, intermediate, and advanced marketers. His blog ViperChill is a hot favorite with Internet marketers, with tips and tricks to successfully survive in the Cloud. Dubbed as a top influencer on the web by the Wall Street Journal, Neil Patel is one of the top 10 online marketers in the world and a successful serial entrepreneur. As a digital marketing guru, Neil is a speaker, blogger, and consultant, who is committed to helping others understand tricks of monster traffic generation. He is highly renowned for his two revolutionary customer analytics programs – KISSmetrics and Crazy Egg – co-founded with Hiten Shah. American Internet entrepreneur Noah Kagen is an online marketing expert and founder of AppSumo – a daily deals website. He started the website, which has over 70,000 active subscribers today, with a vision to help solve distribution for startups and digital goods. Noah has worked with Facebook as a product manager, where he pioneered Facebook status update and its mobile application. Internet marketing guru Pat Flynn is a highly reputed thought leader in the digital marketing niche and online entrepreneurship. His blog smartpassiveincome.com is the fastest growing blog, offering free advice and tips to generate passive income on the Internet through websites. He is renowned for his authentic principles and transparent leadership style who is keen to inspire and educate others on how to succeed in the Internet marketplace. – the #1 LinkedIn & Webinar Book. A social media marketing master, Lewis is a speaker and author, who teaches everything about maximizing LinkedIn for your professional career growth and generating more leads, sales, and income. He is recognized for his skills in LinkedIn Consulting, Social Media Consulting, Webinar Marketing, and Sports Social Media, guiding others how to leverage Internet marketing and make thousands of dollars monthly. A dynamic speaker, Keith Ferrazzi has carved a niche for himself in the Internet marketplace as one of the Internet networking masters and top thought leaders in American business, listed among the leading “40 Under 40” business leaders by Crain’s Business. As a bestselling author, he has penned several books, including Never Eat Alone, Expanded and Updated: And Other Secrets to Success, One Relationship at a Time and Who’s Got Your Back: The Breakthrough Program to Build Deep, Trusting Relationships That Create Success–and Won’t Let You Fail . The World Economic Forum named Ferrazzi as a “Global Leader of Tomorrow.” He began his career as the youngest Chief Marketing Officer in the Fortune 500 at Deloitte Consulting. A successful online entrepreneur, Clay Collins is the brain behind the success of LeadPages website. As a master in lead page generation, Clay creates a suite of tried and tested marketing tools for his clients to help them generate more leads, build a larger business, and grow wider audiences. LeadPages is so popular that some of the leading online marketers use the innovative landing page generator to grow their brand. Clay shares the proven tips on how to get people on your list through landing pages. Author, entrepreneur, and angel investor, Gary Vaynerchuk went from America’s Wine Guy to become a successful online entrepreneur. Gary is the CEO of Vayner Media – a New York City-based social media and digital branding agency. As a celebrated author, Gary is passionate about story-telling and has penned many books, including Crush It! : Why NOW Is the Time to Cash In on Your Passion , The Thank You Economy , and Jab, Jab, Jab, Right Hook: How to Tell Your Story in a Noisy Social World . Another celebrated Internet marketer on the list of kings of Internet is Jeff Walker – the brain behind the innovative Product Launch Formula. Internet marketer extraordinaire, Jeff Walker has leveraged the power of the Internet to generate over $400 million in sales over a period of 15 years, building an empire from scratch. He is the Founder, CEO of Internet Alchemy. Wizard of Moz, Rand Fishkin is the co-founder of the Art of SEO, Moz, and Inbound.org. Rand has been named as one of the top tech entrepreneurs by Business Week. He believes that the best way to sell something is to “earn the awareness, respect, and trust of those who might buy.” He is passionate about all things content, search, and social on the Internet. Reputed as an inbound marketing expert, Rand has had a big impact on the search marketing industry. His company Moz serves as a hub for search marketers, with a huge resource of tools, education, and paid services. An award-winning Internet marketer, Mathew Woodward is a well-known authority in the affiliate marketing and blogging space. He shares some of the best tools of the trade and secrets to engaging audience online on his blog. His blog is ranked among the top 100 blogs on the list of Technorati Top 100 Business Blogs merely one year after inception. Thanks to his exceptional blogging, SEO, and Internet marketing skills, he has turned MatthewWoodward.co.uk into a powerhouse. Mike Silverman is the brains behind the highly reputed Silver Web Solutions – an authority in the SEO niche. A social optimization guru, Mike knows all the tricks of white/gray hat search engine optimization, helping his client websites to be ranked on the first page of Google. He works closely with his clients to provide the best customized services with regards to the client’s needs. Silver Web Solutions has grown into one of the leading professional Internet Marketing and SEO firms, with many credits to it, providing affordable Internet marketing solutions to small and large businesses. Internet marketing guru Igor Kheifets is the next big name on the list of Kings of Internet. The Ukranina has defied the odds to scale new heights of financial freedom. Through his website, he reveals unknown secrets to success in the Internet marketplace within 48 hours or less. Igor is a name to be reckoned with when it comes to lead generation and Internet marketing. 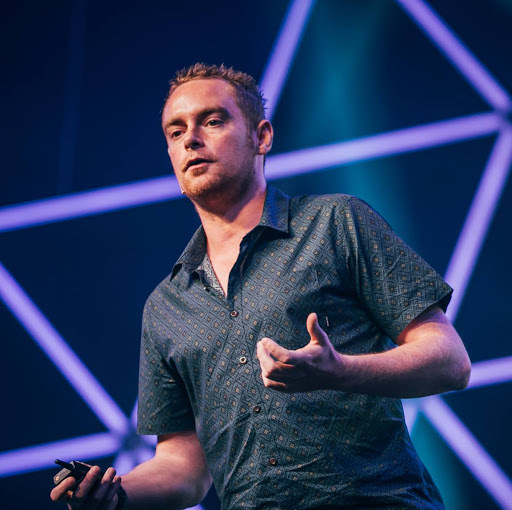 Video Traffic Academy founder, James Wedmore has become an authority in the video marketing niche, helping clients attract high quality leads and sales for their business. The YouTube expert knows everything about creating hypnotic videos to drive floods of traffic for online growth. According to James, video marketing success lies in video optimization, video value, and video aftermath. A reputed video and YouTube marketing and SEO consultant, Derral Eves is an Internet Marketing specialist, well-known author, speaker, trainer and coach. With over 15 years of experience as an Internet marketer, Derral uses innovative tricks and tips to convert traffic into dollars, turn leads into sales, make video views into money, and find and maintain customers through video strategies. Who would you add to this list. Leave your response below.